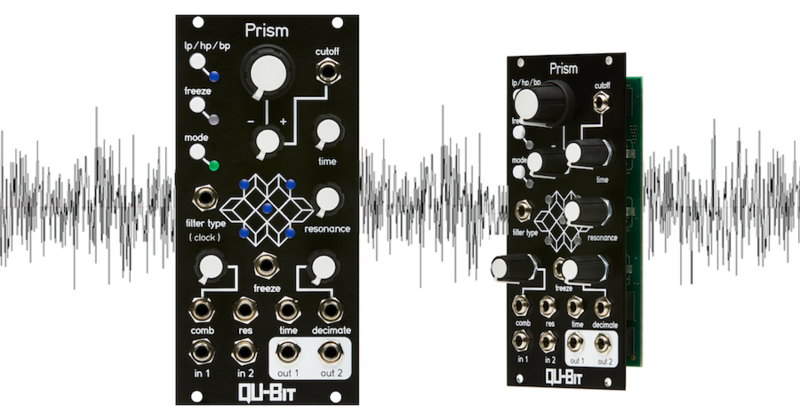 Home / News / Qu-bit PRISM multidimensional signal processor now in stock! The brand new PRISM multidimensional signal processor from Qu-bit has arrived! This module creates a framework for the spectral metamorphosis of any input signal. This stereo audio buffer can be navigated through on 3 axes, each of which provides a different sonic journey through its array of time based controls. We have also restocked various 2hp modules: VERB, DELAY, MIX, MULT, ARP, VCO, RND v.2, TUNE …with most other ones also in stock. Previous post: Big Steady State Fate restock: MUTON, DETECT-RX, ENTITY PERCUSSION & BASS DRUM, plus ULTRA RANDOM ANALOG in new coloured faceplate!